Do you have an incredibly small bathroom at home? If you do, then you might find that trying to make everything you need fit inside the available space would seem like a nightmare. While the area is small, various factors present some key challenges. Among these challenges are configuring the toilet and sink, allocating enough clearance for a shower, and of course where to place the towels, so they don’t get wet when we take a bath. With all of that being said, it’s safe to say that small bathroom renovations can be hard. But it isn’t impossible. Having a sink inside a small bathroom can take up so much space when they are placed in the middle-side of a wall. However, despite this, you can still have a sink inside your bathroom. But you need to make sure that you install it in the corner in a line across from your shower. It is because the opening and closing feature of a shower door usually show an awkward walk-around condition. A shower curtain is still viable if you’re looking to install a shower system in your small bathroom. However, make sure that it moves back and forth to save some much-needed space. 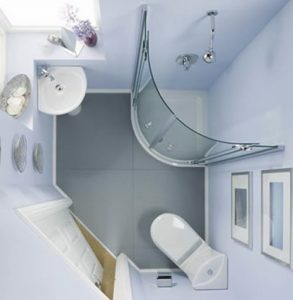 Glass doors aren’t ideal when it comes to small bathrooms as it tends to take up some precious space. Always keep in mind that in every feature you place inside your bathroom, it needs to be compromised accordingly. In the tightest of spaces, a mirror that stretches across the wall instead of just the vanity enables two people at most to use the bathroom all at once. Always keep in mind that in very compact spaces, every inch matters. When your bathroom space is at a minimum, you can mount your tower holder on the shower door to keep them handy at all times. You can then store the majority of your towels in a linen closet (if you have one). 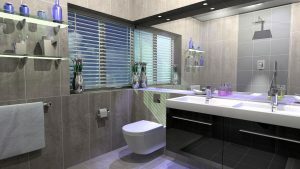 Always remember that when it comes to small bathroom renovations, you need to still make compromises to get the ideal bathroom you want. The size and space of your bathroom are limited. So work with the area that’s provided to you. Use the list above to help you achieve that best-looking bathroom finish.